Learn the basics of how to crochet, starting at the very beginning. If you’re brand new to crochet, the vast array of available hooks, yarns, stitches, and patterns can seem overwhelming. What should a beginner learn first? Which hooks and yarns should you use? When there are so many options, how do you know where to start? Let's explore the possibilities. That's it! Those are the basic supplies you need to get started. 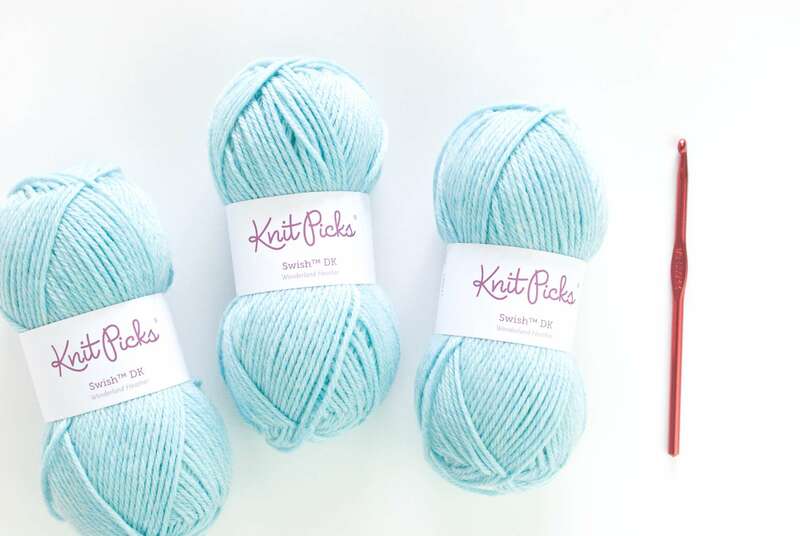 If you've never crocheted before, and you have no clue what yarn you should buy for working your first crochet stitches, these suggestions will help. There are several different ways you could hold your crochet hook. One way is pictured at left, but you'll want to learn about your other options too. This article is important for both left and right-handed crocheters. A slip knot is one of the very first things you need to know to get started with crocheting. You might already know how to make a slip knot; if you don't, this tutorial will help. Beginning crocheters usually start out by learning the chain stitch first. The chain stitch is one of the most important basic crochet stitches you'll need to know; chain stitches form the foundation of most crochet projects. In order to save space, certain words in a crochet pattern are usually abbreviated. The abbreviation for the chain stitch is "ch," or sometimes "chs" for the plural form. You'll usually see "ch" followed by a number -- for example, ch 135; this would mean that you should crochet 135 chain stitches. After you've learned the chain stitch, you'll want to learn the other basic crochet stitches. Single crochet stitch is one of these; it is an essential stitch to know. The abbreviation for the single crochet stitch is sc. So, every time you see this abbreviation appear in your crochet pattern, remember that it means you're supposed to work the specified number of single crochet stitches. Crochet face scrubbies: This pattern will help you practice multiple stitches: single crochet, chain stitch, slip stitch, and half double crochet. Team spirit hat pattern: To work this pattern, you'll need to know how to change colors in single crochet stitch and how to work back loop single crochet stitch. Double crochet stitch is an important stitch to know. It is one of essential basic crochet stitches. The abbreviation for the double crochet stitch is "dc." If this abbreviation appears in your crochet pattern, you'll know that it means you're supposed to work the specified number of double crochet stitches. 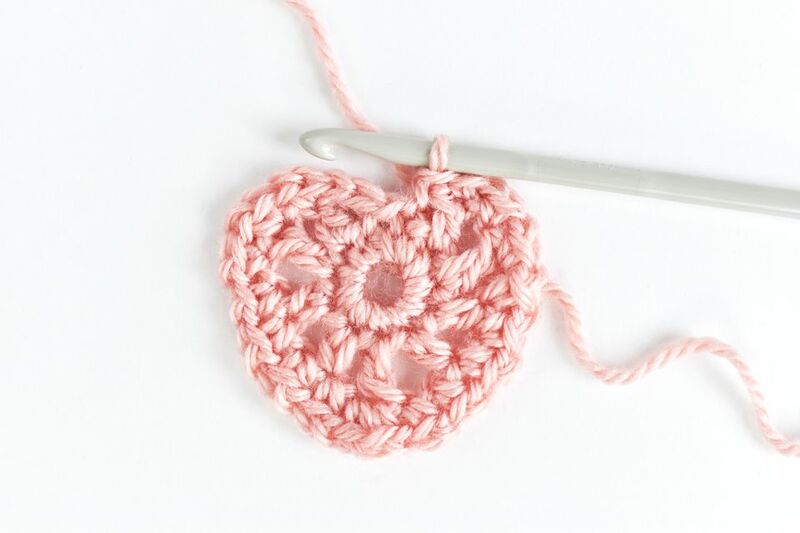 When you're crocheting in rounds, you'll use them to join the beginning of the round to the end of the round. Use them as a design element when you need a stitch that adds a negligible amount of height to the design. If a single crochet stitch is too tall, a slip stitch is probably just what you need. You can use slip stitches as decorative elements on the surface of a crocheted piece. To see examples and learn this technique, check out my slip stitches in surface crochet tutorial. You can work slip stitches in rows or rounds as you would with any other crochet stitch. See the classic menswear stitch pattern for an example of slip stitches worked in rows. These finishing techniques are an important part of crocheting. We've published several different resources to help left-handed people learn how to crochet. Learn how to crochet left-handed. Find links to free videos and more resources that will help. What are the best books for learning left-handed crochet?